Matching of compressor performance to different operating conditions is possible by means of e.g. adjustable inlet guide vanes (IGV) . Past investigations of centrifugal compressors with an IGV and a diffuser clearly demonstrate the way in which the latter alter the compressor performance map [2,3]. In order to assess the flow in an axial suction pipe of a centrifugal compressor with an IGV it is necessary to investigate the flow conditions at this location. 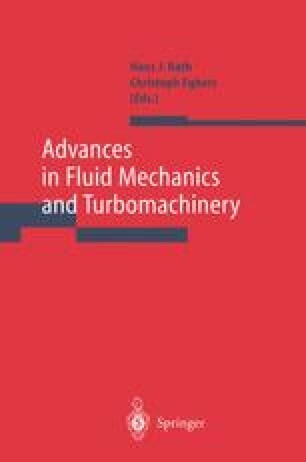 Hardly any usable measured flow data are available in the literature for the inlet region of centrifugal compressors with an IGV.